The view from Museum Drive looking to the northeastern corner of UMMC property. Construction began last fall and is estimated at 18 months. Rendering provided by Gensler. 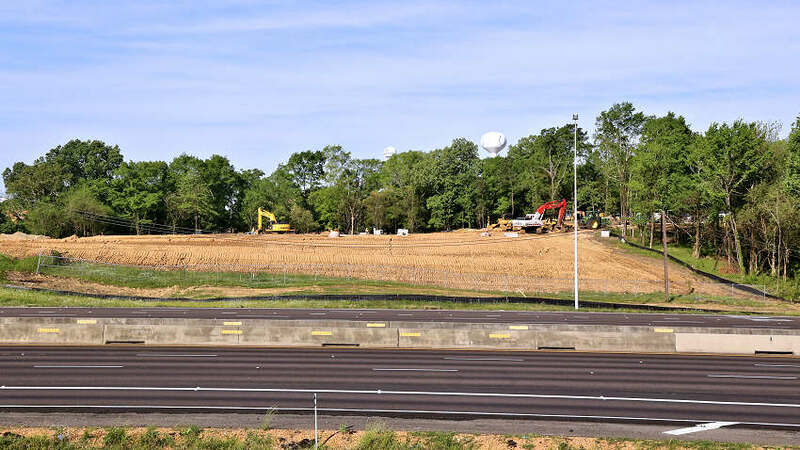 Construction has begun on the new home of the Mississippi Center for Emergency Services in Fondren on the campus of the University of Mississippi Medical Center. The building will place all of MCES’s services under one roof, allowing better coordination between the state’s emergency response agencies and quicker deployment of medical care to sites of disasters or emergencies. The Medical Center broke ground last summer on the state-of-the-art facility that also will encompass the Mississippi Integrated Public Safety Communications Center. 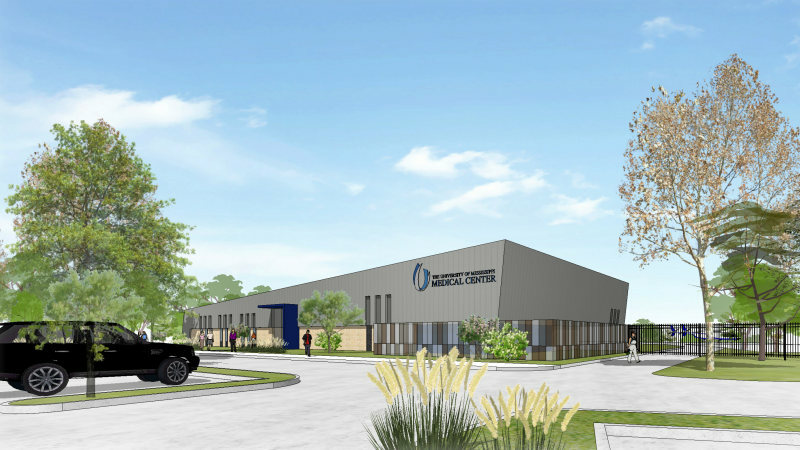 The single-story, 20,000-square-foot building will house Mississippi MED-COM, the 24-hour communications center that coordinates patient care and transport with emergency response agencies, hospitals and first responders statewide. MED-COM now operates out of cramped quarters near UMMC’s Adult Emergency Department. The facility will be a user-friendly base of operations for projects that will advance the state’s medical response and emergency critical care capabilities. It will include a 10,000-square-foot training and simulation area for emergency responders. Among the scenarios: Replicating limitations to broadband connections in the state’s rural corners so that first responders can brainstorm how to communicate around it. And, it will bring together emergency transport teams, their vast deployable gear, and administrative support under one roof. The facility will also provide a second campus helipad for UMMC’s AirCare, the state’s most advanced medical helicopter transport. AirCare will still land on the roof of UMMC’s critical care hospital to deliver patients for treatment but will be staffed and deployed from MCES.